Sold in retail stores for $299 now made available to this and other sites for $159.95 in limited quantities to sell them out. 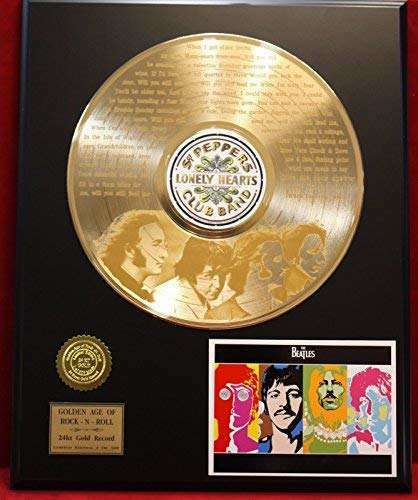 The GOLD clad HUGE 12 inch Long Playing Record is raised off the plaque to achieve a dynamic effect and laser etched with the lyrics to the hit song. The 24kt. GOLD company seal, top left corner, and a Certificate Of Authentication, mounted on the back of the Gold Record Award Style display, is your assurance of quality and originality.